One of the most revolutionary and influential of modern composers, Claude Debussy (1862–1918) overturned traditional concepts of form, harmony, and instrumental color to create a unique body of music characterized by innovation, individuality of style, and perfection of workmanship. 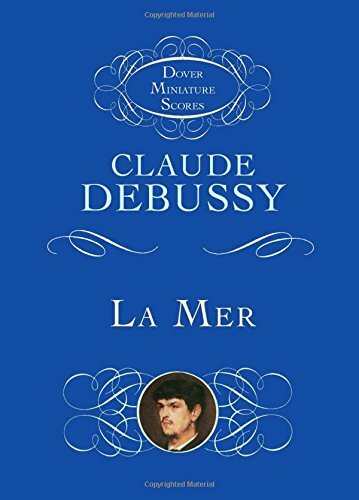 Among his most popular, most performed, most recorded works is La Mer, a complex masterpiece comprising three symphonic sketches: "De l'aube à midi sur la mer" (From dawn to noon on the sea); "Jeux de vagues" (Play of waves); and "Dialogue du vent et de la mer" (Dialogue of the wind and sea). This extraordinary work, full of light and shimmering shapes and colors, is published here in full score with bar-numbered movements. Ideal for study in the classroom, at home, or in the concert hall, this affordable, high-quality, conveniently sized volume will be the edition of choice from music students and music lovers alike.